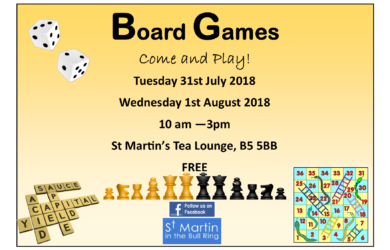 Board Games in the Tea Lounge! We are excited to announce that we will once again be hosting Heritage Forum Open Days from Thursday 13th – Saturday 15th September 2018. It is free to enter there will be opportunities to come in for tours of the St Martin’s Church and our famous Bell Tower. More details to follow in due course…..! A joyous service to celebrate the coming of the Holy Spirit on God’s people and the birthday of the church. 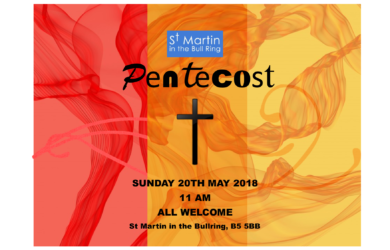 Sunday 20th May 2018 11am Everybody welcome! Want to show your love for your family, your friends and the area where you live? 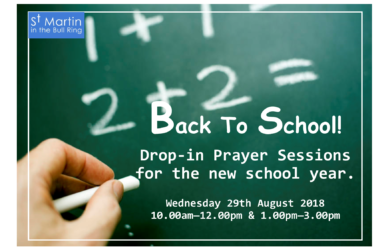 Then why not join us in 11 days of prayer from Ascension Day to Pentecost (10th – 20th May 20018) Connect with God at our prayer stations, light a candle in the prayer chapel and leave your requests on the prayer tree. 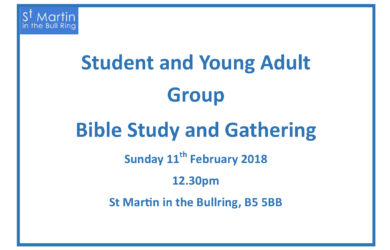 10.00am – 4.00pm All Welcome! 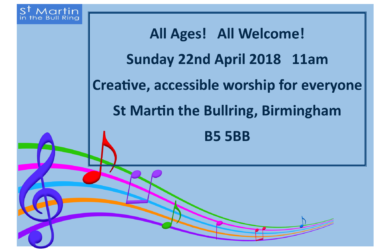 Please join us for our all age service this Sunday, 22nd April at 11am, with singing, storytelling, prayers and a talk. 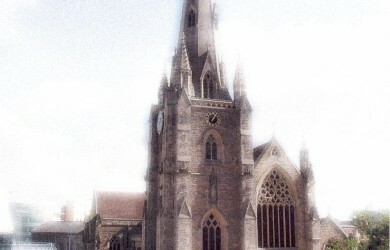 The service is informal, accessible and suitable for all. Everybody Welcome. Easter craft sessions in the St Martin’s Tea Lounge. 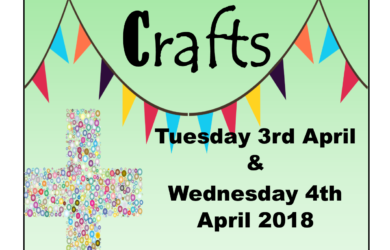 Tuesday 3rd April 2018 & Wednesday 4th April 2018 11 am – 3 pm FREE! 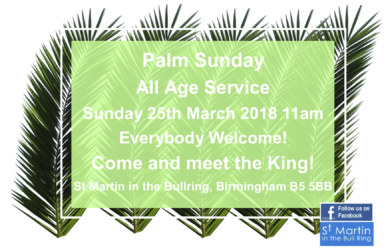 Join us for our Palm Sunday All Age service on Sunday 25th March 2018 at 11am. Accessible and more informal, joyful worship that is suitable for everyone, as we celebrate King Jesus together!